Wearing something unique has its own charm for sure. 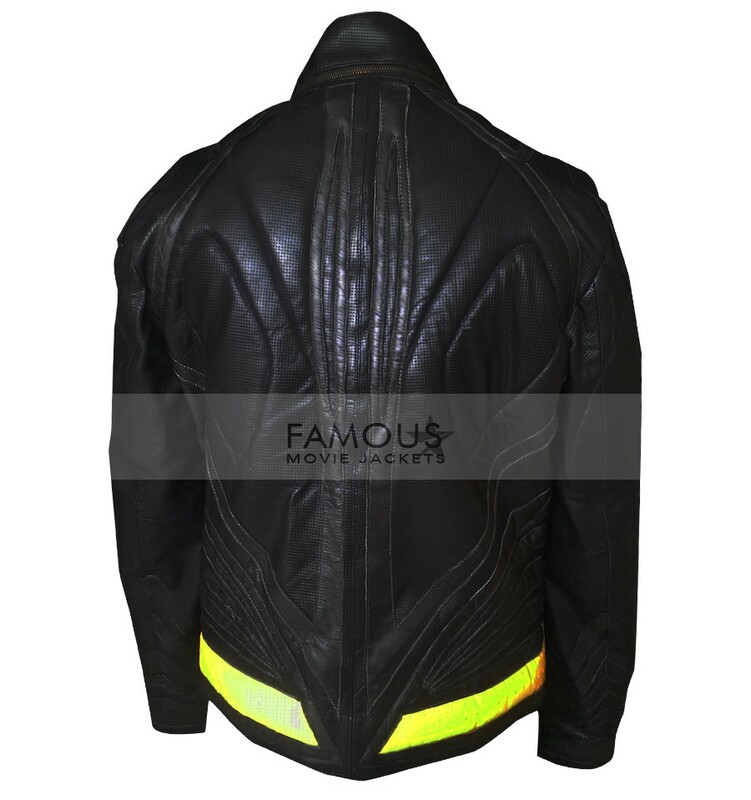 Leather jackets naming biker jacket rider jacket or actor jacket must be making you feel rid of something. That you do not actually want. Actually, the thing is now you do not care what you are getting but you seriously in need of something which should make you prominent among your friends for sure. 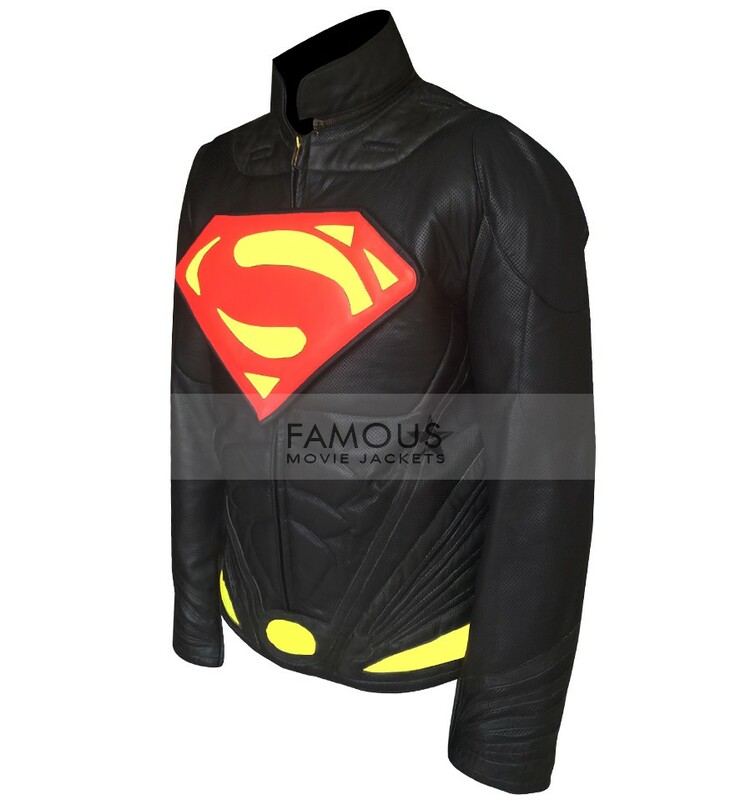 This needs these attractions makes our hardworking craftsman work harder for you and produce this Man Of Steel Superman Leather Costume the pure leather cloth completing all things in once comprises of dark blue color round neck collar Superman red and yellow logo in front and tight handsome body wear closure making you totally versatile and distinctive now.The need can be surely filled by just one click do it now!! 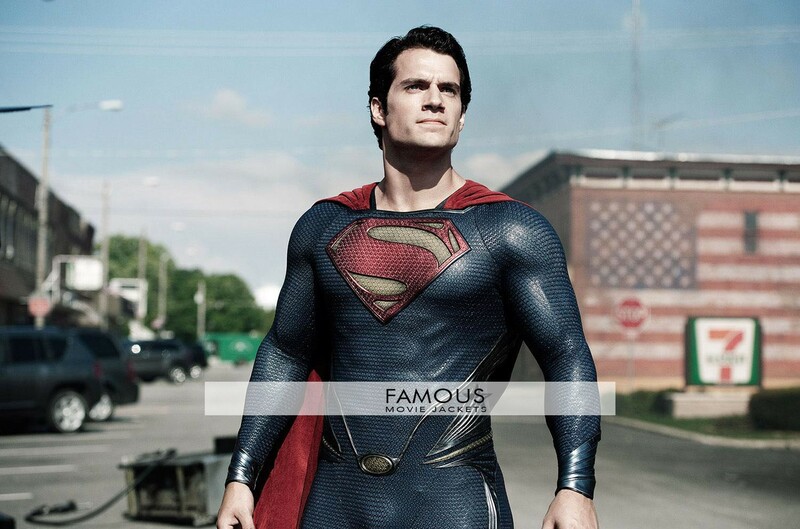 Yes I am a big fan of superman and feels like lucky to have this costume with me through you guys.You ROCK!! I just love it. 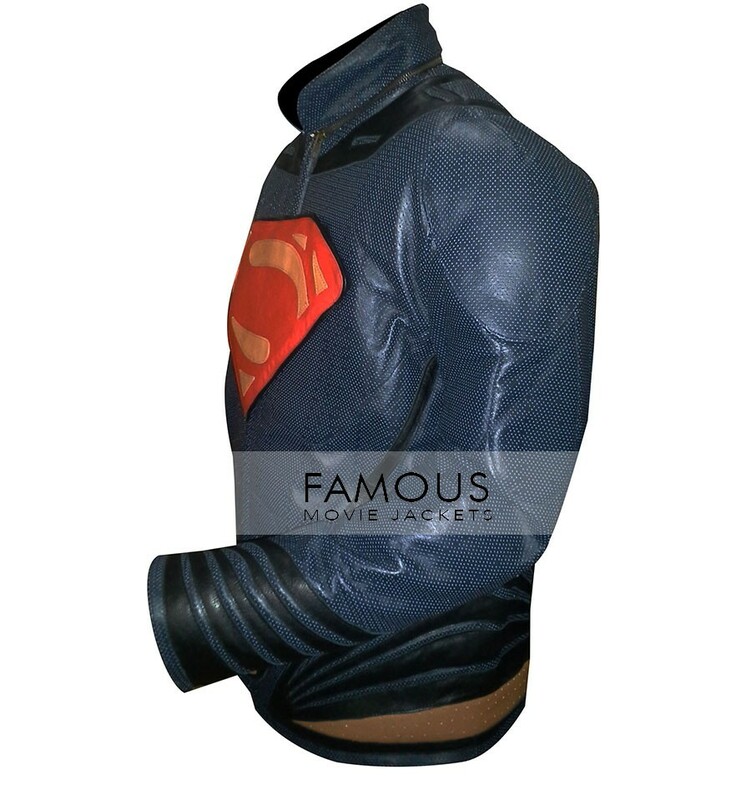 This is surely one of the best jackets. It is so classy and manly I feel so good after wearing it. Thanks a lot. 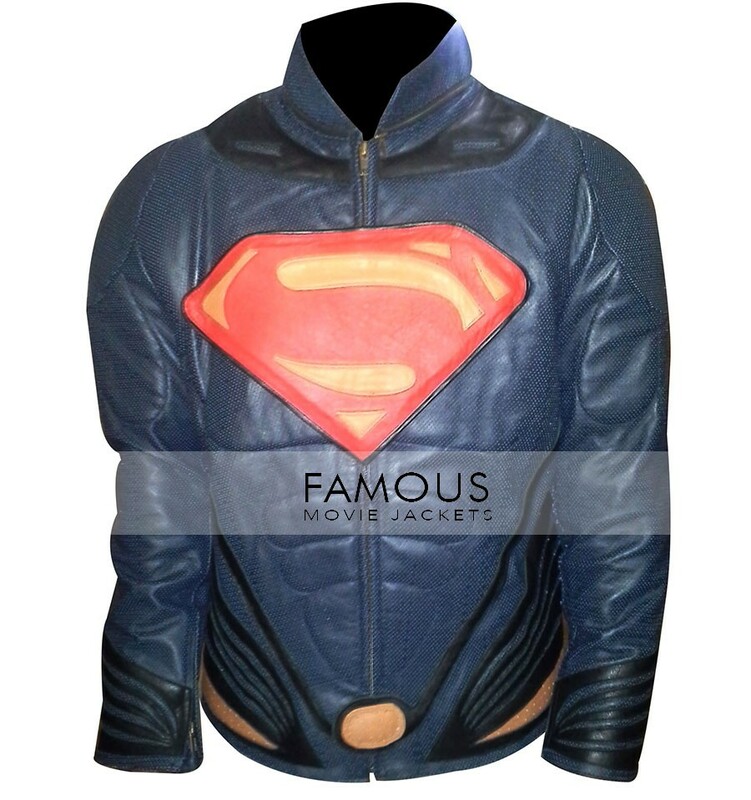 I am a big fan of this movie, so this is quite impossible that I will deny myself to buy it. I love its features even I donâ€™t care about the material but love to wear it at any cost. stylish thing i got it, it is quite different to others and above everything else, this costume makes me stand head and shoulders above the rest of my clan. So thumbs up for the work!! 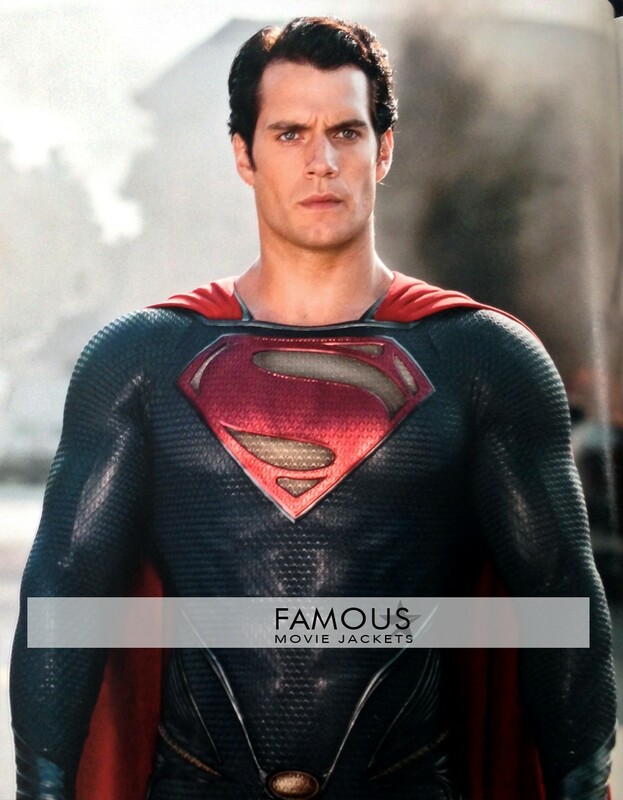 man of steel costume it is great one, I was truly moved the costume and especially that logo at the front is just incredible. Easily worth every penny that I have spent on it! no issue and fault due this fine outfit. 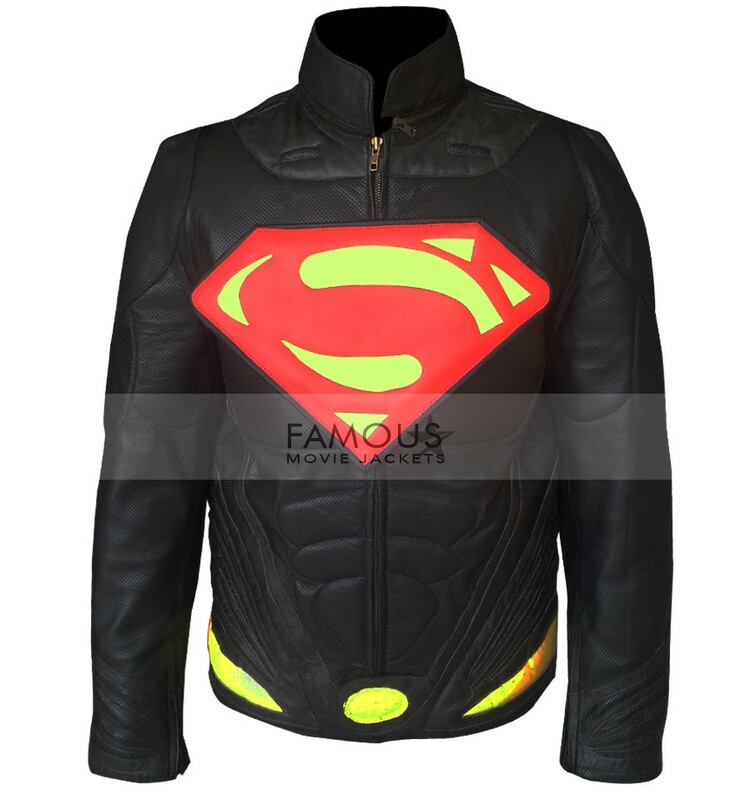 i order 30 of last month this costume and yesterday i received that, i want the “S” logo in small size it is too big on my chest but no issue other thing is alright leather and stitching both are good. 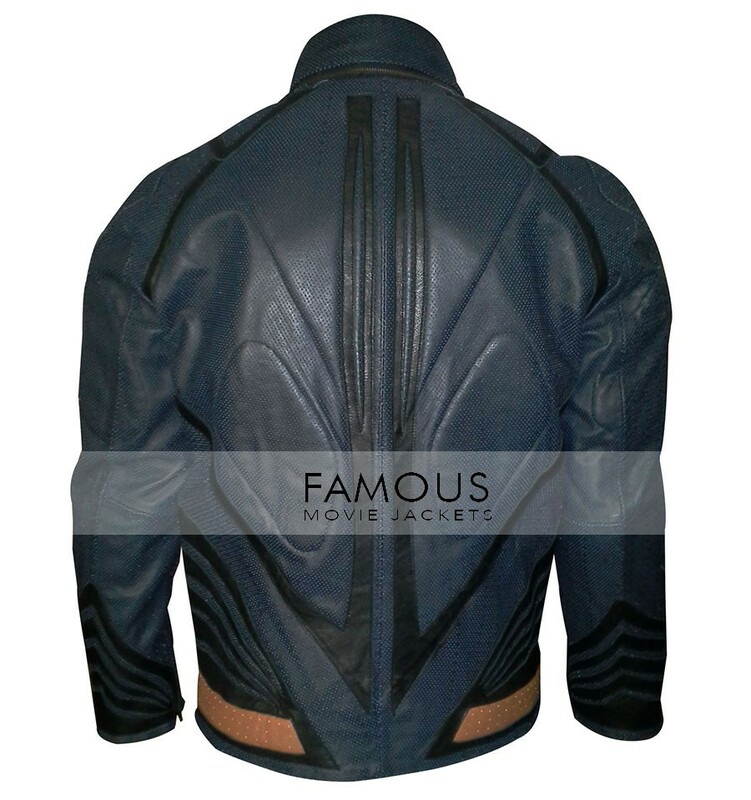 I love wearing auctioned movie jackets collection and bought now from your online shop. This masterpiece has all what I expected from it and according to size I had given. The great part is exceptional quality, color, craftsmanship and stitching. I feel great to purchase it. Thumbs up for your service! The logo looks better with the little space between it. It is a durable jacket for sure!